Funded by a Health Care Innovations Award from the Centers for Medicare and Medicaid Services, Emory's eICU Center was initiated by Tim Buchman, Emory Critical Care Center director, as a way to expand access to critical care services, lower costs, and address the looming national shortage of critical care physicians. Heart rate 40, blood pressure 50, oxygen saturation 60. The post-operative patient was turning blue, and the ICU on-call physician was 15 minutes out. At a monitoring station miles away (like the one above), an eICU RN detected the deterioration and alerted the on-service eICU physician. He guided the critical care nurse practitioner at the patient's bedside through advanced resuscitation techniques via high-definition audiovisual tools as he watched vital signs, ordered medications, and reviewed lab data. The patient's condition stabilized. This is the mechanism of the recently initiated Emory Electronic ICU Center in action. Located in the Doctor's Center Building on the campus of Emory Saint Joseph's Hospital (ESJH), the Emory eICU Center is linked to ICUs at ESJH, Emory University Hospital (EUH), EUH Midtown, and East Georgia Regional Medical Center (and soon, at Emory Johns Creek Hospital). Funded by a Health Care Innovations Award (HCIA) from the Centers for Medicare and Medicaid Services, Emory's eICU Center was initiated by Tim Buchman, Emory Critical Care Center (ECCC) director, as a way to expand access to critical care services, lower costs, and address the looming national shortage of critical care physicians. 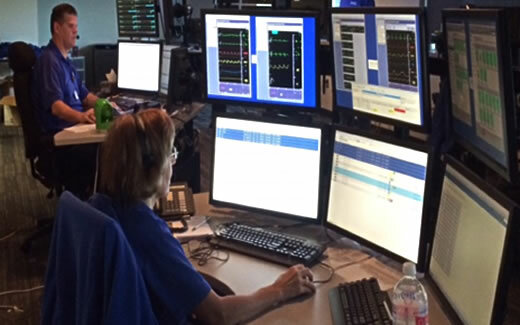 Telemedicine provider Philips Healthcare installed cameras, video monitors, microphones, and speakers in all of the participant ICUs as well as vital sign, patient monitoring, flowsheet, and lab interfaces and servers to handle data streams and storage. All hardware- and software-derived patient data from the participant ICUs routes to the eICU at ESJH and its 24-7 monitoring personnel. The eICU teams work closely with providers in the member ICUs in treating patients. "This means all of our ICU nurses have a second pair of eyes watching their patients. 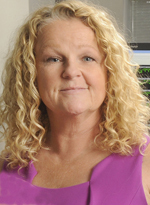 When other physicians have gone home for the day, we have an ICU physician available at the push of a button," says critical care nurse Cheryl Hiddleson, operations director of the eICU. The HCIA grant also provides support for two residencies in the ECCC. A one-year critical care residency is recruiting, training, and deploying NPs and PAs throughout the Emory system. A six-month HCIA residency provides critical care training for providers in other fields from hospitals in Georgia's underserved communities. When certified, the PAs and NPs return to their hospitals, which will improve access to community ICU health care across the state and eventually serve thousands of Medicare and Medicaid beneficiaries. "The partnership's next phase will be adding the emergency departments at EUH and Midtown," Buchman says. "Patients requiring critical care will then be tracked as soon as they enter the Emory system, further widening the range and scope of the data needed to make informed decisions."